Festive magic from Tom Fletcher: pop god and funny genius. A dinosaur is saving Christmas – and we promise he won’t poop! 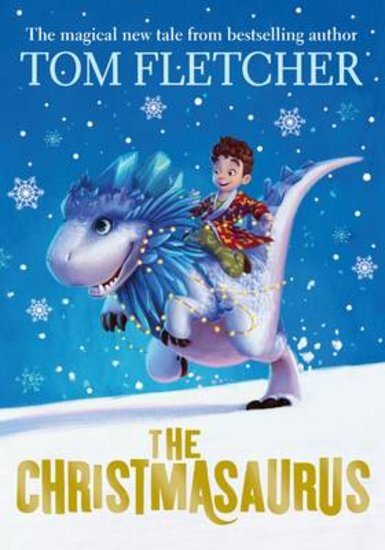 This is the story of a boy named William Trundle, and a special dinosaur: the Christmasaurus. It’s about how they meet one Christmas Eve, and have a very magical adventure. It’s about friendship, families, sleigh bells and Santa; singing elves and flying reindeer; music and magic. (Are you hooked yet?) It’s about finding your heart’s desire, and making the impossible real. Honestly: how lovely does that sound?